My sweet sister-in-law surprised me with a cooler full of yummy soup the other day, so when I returned the cooler I had to have a fun tag attached to it! I used the Papertrey Ink Tag Sale #3 Die to make it. 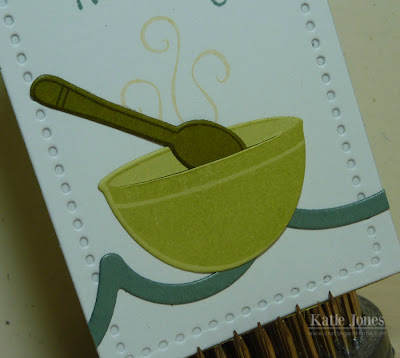 The cute soup bowl, spoon, and steam were made with the PTI Comfort Foods stamps and dies. I made the fun squiggly line with PTI's Birthday Style Dies. 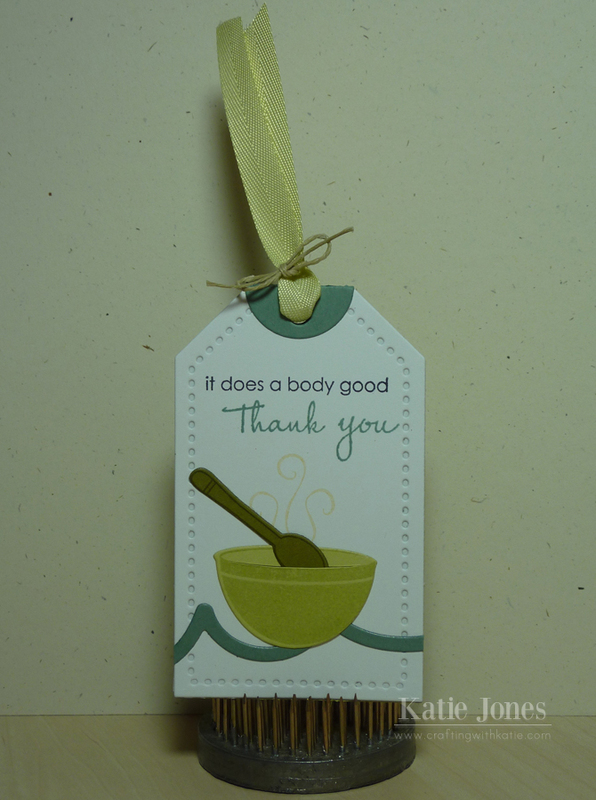 The "it does a body good" sentiment is from Comfort Food Additions stamp set, and "Thank You" is from PTI's Asian Fusion stamp set. I added a little PTI spring moss grosgrain ribbon and some thin hemp from Liz's Paper Loft Boutique to finish it off! What a sweet and thougthful idea! Great tag and such a cute idea. Katie ~ CUTE tag! LOVE the little dies of the spoon and bowl! What a thoughful thing your SIL did and then CUTE, CLEVER and thoughtful way to say Thanks back! Almost Spring break for you! YEAH! Have a great day!! cute tag, nice way to say thanks !!! Super cute, love the bowl and spoon! !